One of the best parts of working as a Dental Assistant is meeting people like you from all walks of life and helping them to improve their oral health. 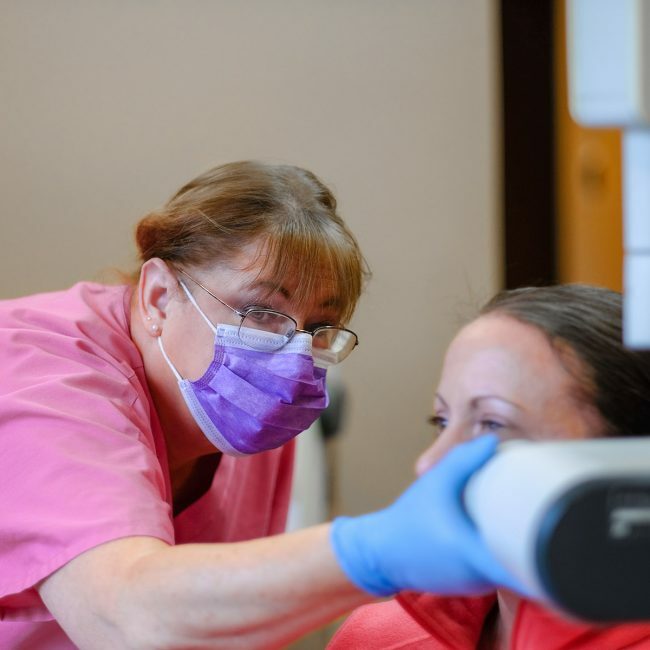 Here, you can learn more about the different types of Dental Assistants in Michigan. 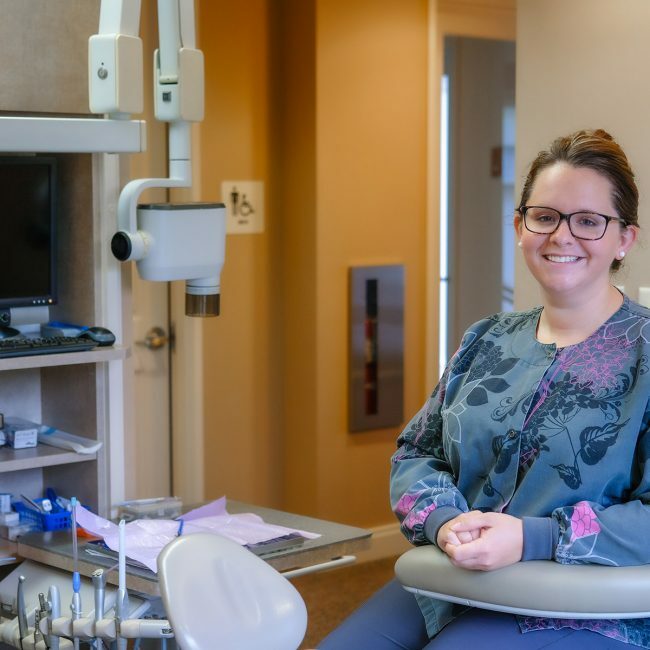 To become a Registered Dental Assistant, students must enroll and receive college based dental assisting education in a program accredited by the American Dental Associations, Commission on Dental Accreditation (CODA). The Commission on Dental Accreditation is a specialized component of the American Dental Association and is recognized by the United States Department of Education. After successfully completing the program, meeting all other eligibility requirements and paying the exam fee, the student is ready to take the RDA exam. The exam is both written and clinical and is administered at an ADA/CODA accredited dental assisting school. If both portions of the exam are passed successfully the RDA license is then issued. Once licensed, Registered Dental Assistants are required to obtain continuing education every 3-year renewal cycle and must maintain current in CPR. Registered Dental Assistants can perform all the duties delegated to dental assistants as well as the duties delegated to the Registered Dental Assistant. Graduates of an ADA/CODA accredited program are also eligible to sit for DANB’s CDA exam immediately and RDAs are eligible to expose radiographs as their education contained the training required in Michigan. A Certified Dental Assistant is a Dental Assistant who has taken an exam and upon successful passage has been given the CDA credential by the Dental Assisting National Board. The CDA exam is a broad multiple-choice test meant to demonstrate a minimal level of competency in radiation health and safety, infection control and general chair side assisting. To be eligible for the CDA exam, the dental assistant must be a graduate of an ADA/CODA accredited program or have work experience (full time or part-time of a total of 3,500 hours or two years, plus be a high school graduate or GED equivalent, and have a current CPR card) or have been certified in the past. The State of Michigan does not recognize the CDA in the Public Health Code or in the Board of Dentistry’s Administrative Rules. A CDA is considered a Dental Assistant and therefore can only do the functions assigned to a Dental Assistant and cannot perform duties assigned to the RDA. Having the CDA credential does not make an assistant eligible to take radiographs. Why become a CDA if the credential is not required or recognized in Michigan? For one reason or another people move and although the CDA is not a Michigan credential, it may be required in another state. The Michigan Dental Assistants Association highly recommends that assistants obtain and maintain their CDA to make them mobile. Obtaining credentials is also prestigious. It demonstrates competency, is a great source of pride and signifies your commitment to lifelong learning. CDA’s must obtain yearly continuing education and maintain current CPR and renew their credential yearly. 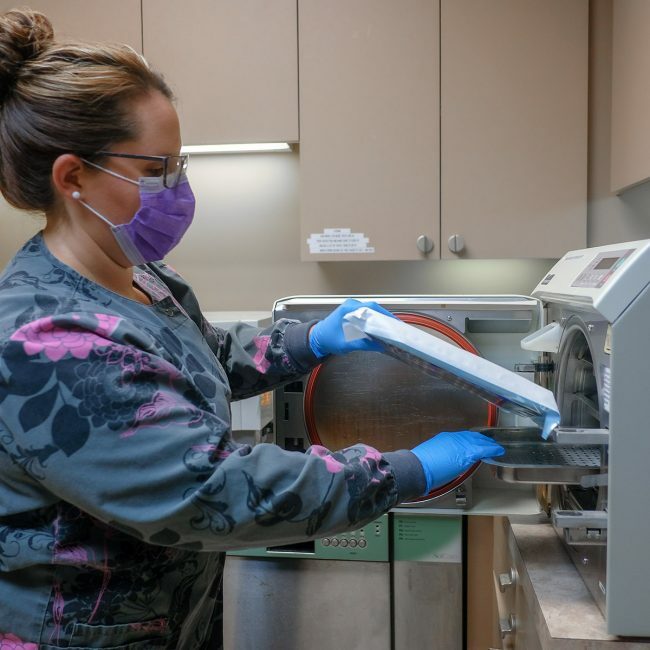 A Dental Assistant may be trained to assist dentists with patient care, clean instruments and the work area, and perform simple procedures, such as taking impressions for study models. A high school diploma or equivalent, a certificate in dental assisting from a non-ADA/CODA accredited program, or on-the-job training by the employer are all pathways to becoming a Dental Assistant. The Michigan Dental Assistants Association highly encourages all dental assistants to obtain their CDA and RDA. If you suspect your dentist, dental hygienist, or dental assistant is performing procedures that they may not be licensed to do, you have the right to report this by filing an allegation with the State Licensing Board.